Rabat - Three heavily-armed men in black turbans set upon a police station. The point man enters and fires upon three policemen. With trained precision they ransack the office, collect weapons and set a shed on fire. The assailants escape unscathed in a truck parked nearby leaving the policemen critically wounded. 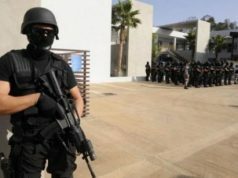 Rabat – Three heavily-armed men in black turbans set upon a police station. The point man enters and fires upon three policemen. With trained precision they ransack the office, collect weapons and set a shed on fire. The assailants escape unscathed in a truck parked nearby leaving the policemen critically wounded. If this were Syria or Afghanistan, it would be just another day. 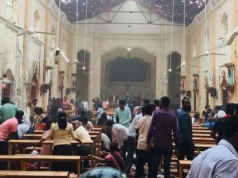 But this terrorist attack took place last week in a small village in Burkina Faso, a struggling West African nation with a 60 percent Muslim population. There are reports of daily attacks on police stations by affiliates of Al Qaeda in the Islamic Maghreb in Mali. Over the weekend, an attack took the life of one Malian police officer and seriously wounded three others. 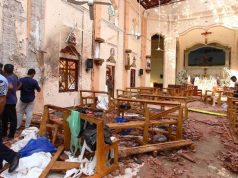 Muslim tombs are being destroyed, women are being kidnapped and marketplaces bombed. 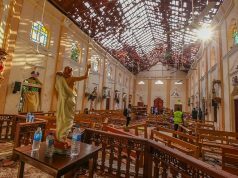 Within the last year Al Qaeda has made three unexpected and stunning attacks on hotel resorts – in Burkina Faso, Ivory Coast and Mali – leaving 68 dead and West African nations in deep fear of future terrorist attacks. While U.S. and global coalition officials are touting their success in reducing the Islamic State of Iraq and Syria by forty percent, both ISIS and Al Qaeda in the Islamic Maghreb are expanding their reach into the vast territory of West Africa. Most of these nations have limited security to combat full scale terrorist attacks. Many are turning to the West for assistance. But policy makers and global terrorism experts question whether the U.S. is prepared to meet this growing threat. West Africa is a prime target for expansion for jihadists, says author Bryan Griffin. His newly published Encyclopedia of Militant Islam provides briefs on 44 of the most violent terrorist organizations worldwide. Their ultimate goal is to launch a military and public relations campaign against the Western world on behalf of Islam, he said. He said Al Qaeda in the Islamic Maghreb and other jihadist organizations thrive in large countries with weak governments. West Africa fits the bill. Out of 19 West African nations, 15 are former French colonies. The entire continental United States could fit into the region of West Africa. All expect Gabon and Nigeria suffer from weak economies and lack clear political succession. Yet, Gabon and Nigeria, two oil-producing countries have suffered over the past two years from oil revenue decreases as world oil prices have plummeted. Democratic processes have improved, but poverty, illiteracy and joblessness remain a burden on the governments which seek to address these issues. Sierra Leone, Liberia and Ghana have recently had to bear the brunt of an Ebola outbreak which devastated the economy and stability of these nations. Griffin said the jihadist take advantage of the poverty and instability by offering food, money and indoctrinating young men who are already Muslim into the path of Jihadism. “Hundreds if not thousands of Malian children have been sold to armed groups by family members or school officials in exchange for money,” writes Philip Obaji, Jr. in a column entitled How Terrorist Recruit African Children. “In other cases, the children themselves may have been lured in by money and the appeal of ‘fighting for God,’ especially after indoctrination in religious schools,” he says. Mali, a vast nation with a weak government, has half of its 17.9 million people under the age of 21, the average annual per capita income is $650 and average life expectancy is 58 years old. The roots of current terrorist onslaught in West Africa begins in Algeria in the 1990s. The Armed Islamic Group (GIA) sought to topple the Algerian government and establish an Islamic State. It is estimated that nearly 80,000 Algerians were killed through assassinations and civilian massacres. The Algerian government introduced an amnesty program in 1999 allowing a large number of jihadis to surrender. Those left were hunted down, hundreds were captured and those who escaped morphed into a new group called Salafist Group for Preaching and Combat (GSPC). The Salafist Group for Preaching and Combat made connections with other terrorist subgroups and in 2007 formally joined Al Qaeda headed at the time by Osman Bin Laden. With Bin Laden’s demise in 2011 by the Obama Administration, Ayman Al Zawahiri remains in control. “Al Qaeda is a strange beast as a group indeed, says Griffin. “It has evolved into a multi-headed Hydra based on a successful model (what Obama refers to as the original “core Al Qaeda”). This “core” Al Qaeda literally means “the base” maintains a decentralized structure which gives it the flexibility to adapt to losses and gains. The splintered terrorist groups named themselves Al Qaeda in the Islamic Maghreb. “Maghreb” in Arabic means “west” and is the actual name of Morocco in Arabic. But the area in which this organization was trying to establish its base included Morocco, Algeria and points south. Through the use of affiliates, AQIM equipped itself to be able to fight on numerous fronts. It has many affiliates which conduct independent missions with names like Ansar Dine, The Movement for Oneness and Jihad in West Africa or MOJWA, Tarek Ibn Ziyad Brigade, Those Who Sign in Blood, Katibat al-Mulathameen or “The Masked Brigade” and the Massina Liberation Front. 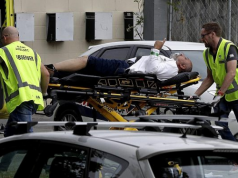 But one individual terrorist has found a way to bring these sometimes warring groups together, secure massive amounts of funding and weapons, plan operations and defy death. The death of Mokhtar Belmokhtar has been announced on Chadian television in March of 2013. The President of Chad Idriss Deby Itno announced soon after that BelMokhtar committed suicide by bombing over despair at the news of the death of close associate in terror Abou Zeid. Belmokhtar then personally confirmed the death of Abou Zaid and destroyed the rumors of his death. The Libyan government announced he was killed in an U.S. airstrike. The U.S. government confirmed the strike but could not confirm the kill. 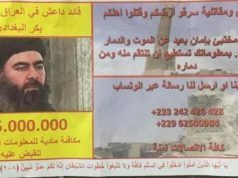 But Belmokhtar, and his newly formed Al-Mourabitoun consisting of two AQIM affiliates, are said to be behind the recent hotel attacks in Mali, Ivory Coast and Burkina Faso. Atallah also says that the expansion of AQIM into West Africa is about recruitment. The Fulanis are an ethnic group with a population over 20 million and have populations in most every West African nation from Sudan to Senegal. Of all the ethnic groups in West Africa which were Muslim too, the Fulanis fought the hardest against the French and were the most punished for their insurrections. Islamic State Present and Accounted For. It was only five years ago that a suicide car bomb ripped through the United Nations offices in Abuja, Nigeria killing 18 and injuring hundreds. 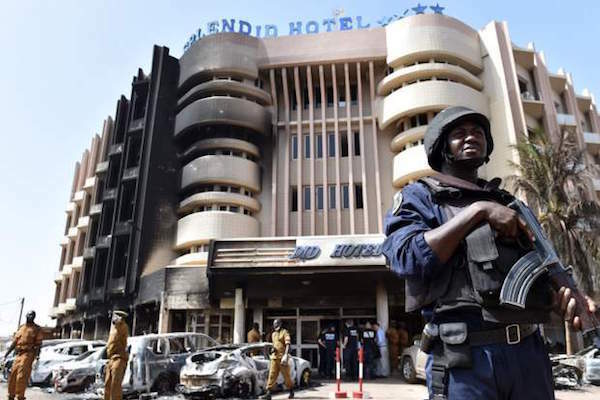 The bombing site was a constant reminder to the heads of state from neighboring West African nations who met for the 2ndRegional Security Conference at the Transcorp Hilton Hotel in Abuja last week. In attendance: Nigerian President Muhammad Buhari, President Francois Hollande of France, President Patrice Talon of Benin, President Paul Biya of Cameroon, President Idris of Chad, President Ali Bongo Ondimba of Gabon, Mohammadou Isofu of Niger, President Macky Sall of Senegal, President Faure Gnassingbe of Togo, and the Prime Minister of Equatorial Guinea. These heads of states expressed their concerns of security in their countries. Gabon President Ali Bongo Ondimba called for greater assistance from the United States and Europe to combat the jihadists. He said that many West African nations lack the experience to fight terrorism. Nigerian President Buhari was eager to announce that Boko Haram had lost control of all its holdings in northeastern Nigeria. The terrorist group has killed thousands of Nigerians, displaced millions and has spread out to neighboring French-speaking countries of Chad, Cameroon and Niger during its seven-year insurgency. But terrorism experts say Boko Haram is far from dead. Pham said that Boko Haram fighters have been in Libya for training or to carry out terrorist operations. And Boko Haram still maintains strong ties with al-Qaida in the Islamic Maghreb. Senegal, which borders Mali, is seen as a prime target for jihadism. The capital city, Dakar, hosts hundreds of non-governmental organizations, and hotels abound to accommodate aid workers and tourists. The former French colony has tightened security by arresting hundreds of its citizens in January for low-level crimes, such as traffic violations and smuggling. Some see the show of force as a message to ward off any big problems. However, both AQIM and ISIS have been successful in recruiting Senegalese fighters. Fluency in French is a common trait of Islamic State recruits from the region, write Brookings Institution researcher Chris Meserole and terrorism expert William McCants in a recently published study. So it is perhaps not surprising that France and Belgium have become a destination for them; the two countries have the largest number of IS recruits in Europe. Tunisia, by far, has the largest number of men and women joining IS. In American counterterrorism efforts, the U.S. Africa Command (Africom) headquartered in Stuttgart, Germany, is providing some tactical training for security forces in Senegal, Ivory Coast and other West African nations. But many terrorism experts are concerned that the U.S. is handling the growing terrorist threat in West Africa with a detachment similar to that shown in Iraq and Syria. Africom uses Camp Lemonnier in Djibouti, with 2,000 American troops, to launch drone strikes on Al-Qaida affiliates in East Africa. The U.S. military presence in West Africa consists of a base in Morocco, where 1,200 U.S. troops conduct Africa Lion, a joint military exercise. There is speculation that a U.S. drone base is located on the northwest ramp of the commercial airport at Niamey, Niger. Critics of the American effort aren’t hard to find. Witney Schneidman, former U.S. deputy assistant secretary of state for African affairs, said both Paris and Washington had increased their efforts in West Africa, supplying troops, training and intelligence. But he said the U.S. response remained piecemeal. “It’s missing an overarching strategic approach. I can’t remember the last time our secretary of defense was in Africa,” he told the Financial Times. Atallah of the Atlantic Council said recently soured relations with Morocco hardly foster a unified effort against jihadism in North and West Africa. In May, U.S. Ambassador Dwight L. Bush was presented with a formal protest in Rabat over a State Department human rights report criticizing the Kingdom of Morocco for abuses including torture and its treatment of LGBT citizens. President François Hollande put a hopeful spin on things at the regional security conference in Abuja. “If we are united, we can win against the terrorists,” he said.